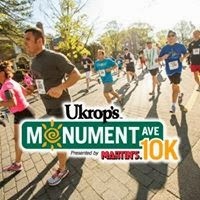 March 29th is the 10K I am currently training for. I actually qualified into a seeded wave this year and I really want to record a PR. The basic plan is to train hard until the week before and then taper. I'd like to take up the intensity the next few weeks. Ideas or thoughts anyone? 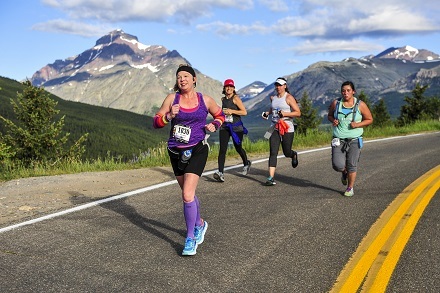 Do I focus more on short fast runs - keep running the 10K distance - or try something new and start running hill repeats? one 10K run and one longer run 8 - 10 miles. I always do some weight training throughout the week. February almost over...time flies as I get older. I am glad to leave behind the crazy polar vortex temps we experienced this winter, but honestly I am really not looking forward to the warmer months. I do want it to be warmer than the teens, but once it gets over 80 it's such a challenge for me to run. The humidity causes me a great deal of nausea. I may have to stop blogging for summer because I don't want to record my whining. My Saturday run was a good example of what strong sun (as bright and clear as it can get) (67 degrees) and a mid day run does to me...meltdown. I started out okay, warmed up a mile, then planned to do four speedier miles, then relaxed pace until I hit 8 miles. After three speedier miles I was warm, so I slowed up a bit and recovered for a mile, then tried to pick it again and I was done...I went from being uncomfortable to feeling completely overheated and light headed very quickly. Very frustrating...it really wasn't that hot, but I guess I am not used to it. I was running with my run buddy and she was ahead of me at that point and all I could think was home...I didn't even want to run after her to tell her I was done. I just wanted out of the sun (no shade on our route). Basically from mid - May last year until September I just had to accept a 10:30 to 11:45 mi and often I would have to take short walk breaks to get a longer run done. The only way to stop that light headed feeling is to stop and walk. Usually I feel fine in about 10 to 15 minutes, but it gets me down. I've had Basil Cells removed from my eye lid, nose, and back so I have to limit my time in the sun all summer. Here comes 5 a.m. runs...can I do that again? I have been running in Brooks Ghosts, a great shoe but I can't run on the treadmill in them. So I purchased a pair of Altra Torin's which are zero drop and I am so much happier with the feel. I love the way my foot sits in Altra's. I started wearing them for pavement runs. They are a great 6 mile and under shoe and a perfect treadmill (very light) but I need more cushioning for a longer pavement run. Finding the perfect shoes is an expensive search...I admire those who are ambassadors for running companies. I decided right before dark to go out (in Brooks Ghosts 6) and run a few quick miles. My legs were feeling used up when I started again and my first mile was 10:30 but I ended up getting a decent rhythm going again. I keep wondering if I am doing the right kind of training to hit my 10K goal. Send me those speedy tips :) Do I focus more on short fast runs - keep running the 10K distance - or try something new and start running hill repeats? My struggle with speediness or lack of and my overall energy levels have been a challenge for me lately. 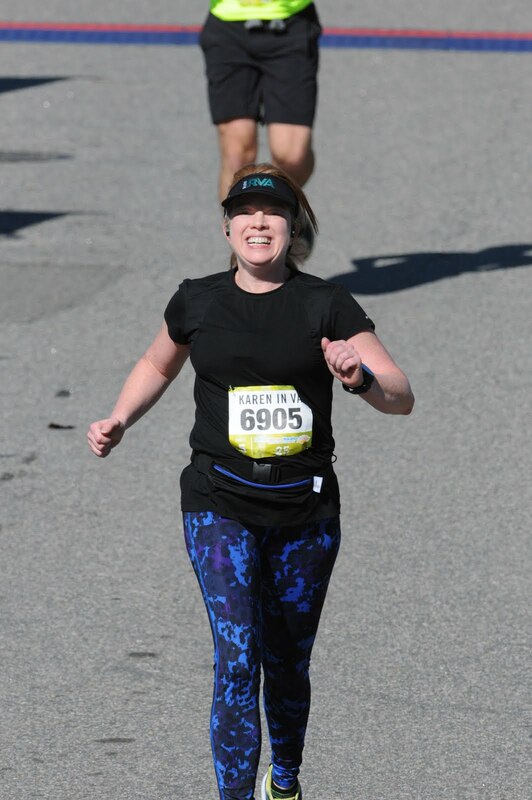 A few short months ago I seemed to be hitting a really good stride, most of my runs felt pretty good and I was getting speedier...then all of a sudden boom. No real big diet or supplement changes to speak of. The stress in my life has increased the past few months because of a tense situation at work and I am person who doesn't do well in those circumstances. I don't want to babble, but I will say I am working at a crazy pace everyday and I feel that's what is affecting me the most. My other issue is I have a bunch of rescue animals I love dearly but they are getting older and starting to make big messes and I spend the rest of my energy trying to keep my house together. Sunday I got out and ran 9.3 miles. I have a 10K March 29th and a 15K April 12th so I need to stay conditioned for both. Sunday was kind of my typical run lately - I wanted to get a few fast miles in and I just couldn't sustain a speedier pace at all. Sunday one of my cats kept me up most of the night. He was not feeling well at all. My hubby took him to the vet Monday afternoon. 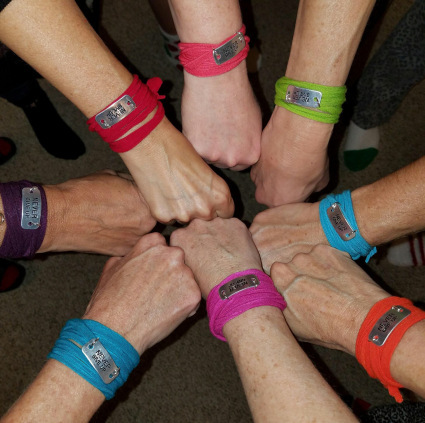 Antibiotics and a shot for pain helped him on his path to recovery. Tonight when I came home I was already feeling a little crazy and Otto decided to make a big mess so I was scrambling to clean up so I could get a run in before dark. I left the house and just kept thinking push. I felt like I was releasing all the yuck stuff from today. I ended with a PR and honestly I had to look several times because I could hardly believe what I was seeing. I am still questioning if my Garmin broke. I have never ever ever been able able to string together 9:00 mi ever....weird. Usually stress drains me but today somehow it fueled my feet. VA weather weirdness lol - last week snow and today I needed shorts. It felt delightful. The front of my house doesn't get enough sun so I am the only one left with a patch of snow on a 60 degree day. Did you ever get a time and instantly think you timer was broke? Can shoes make that big of a difference? Shower and put your pj's back on...that's the best kind of day. Mother Nature is unleashing an unusual amount of snow and cold in VA this season so I am receiving the gift of a long weekend. Thursday and Friday my office is closed. The temperature is supposed to climb into the 40's and low 50's over the weekend so it should mostly melt away, which is nice because I still want to get my runs in Saturday and Sunday. Today I ventured out and went to the gym since it's only about two miles away. I did the treadmill and then about 40 minutes of back, abs, and legs. I am really trying to stick to my four work outs a week. I did 3 minute intervals at 8:57 pace x 3 then ran it out at a 6.0 on the treadmill until the last 3 minutes I bumped to a 9:20 pace. I have been slacking on the interval work for quite a while now so I needed to accomplish something. Even though it was just a little, it did make me feel better. Back in October, which seems like ages ago now, I had worked my way up to 7 minute intervals, but my body has been rebelling lately so here I am back at three. Tuesday after work I knew I had to get a decent run in since the snow was coming. My goal was to come home and run to a cul-de-sac that's .25 miles long and try some speedwork. My plan was run it four times speedy with a recovery lap in between, however when I actually got there I just wasn't feeling it so I picked up my lap times for the next two miles and ended up with a 5K at a quicker than normal pace. I reset and ran a more relaxed pace so I could get 8 miles done before dark. I felt like a popsicle when I took this picture. I headed in for a steamy shower. How much faster do you think an interval should be? Are you able to pick a pace and run it? 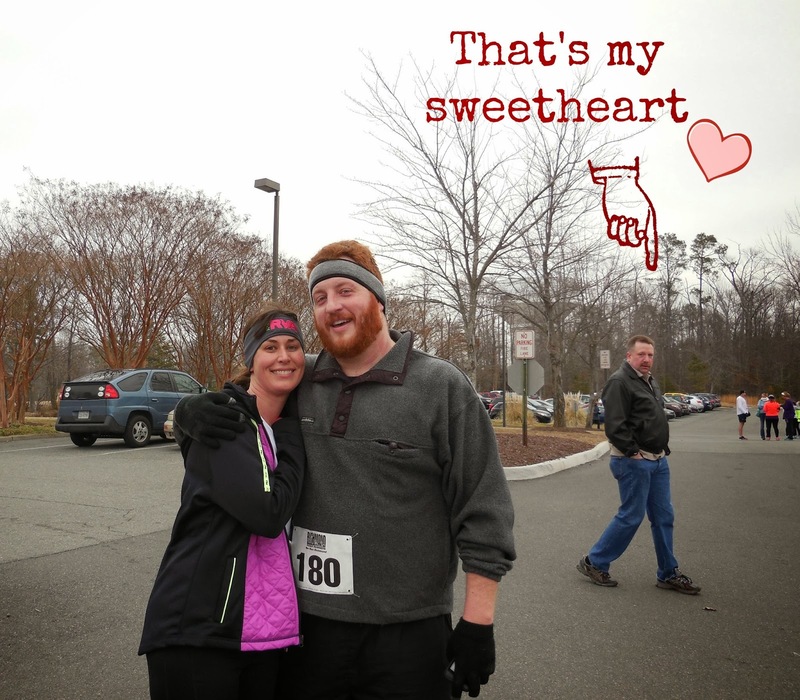 It was an overcast chilly 30 degrees for the Sweetheart 8K. My sweetheart drove me and ate breakfast while I ran. I was warned the course was hilly and it delivered. There were hardly any flat parts, you were either moving up or down it seemed. Saturday I had a pretty rough run so I was a little worried when I woke up today. My plan was simple; run as hard as I could until the hills got the best of me then run whatever pace I could tolerate. I really need to build my hill strength! A few minutes in I realized I was feeling better than Saturday so I pushed myself until I got tired. When I passed mile marker 4 I saw the end was going to be an uphill climb and it deflated me a bit. I just ran a comfortable pace and when I got to the start finish line I never really kicked it up a notch I just trotted on. It wasn't a chip timed event. 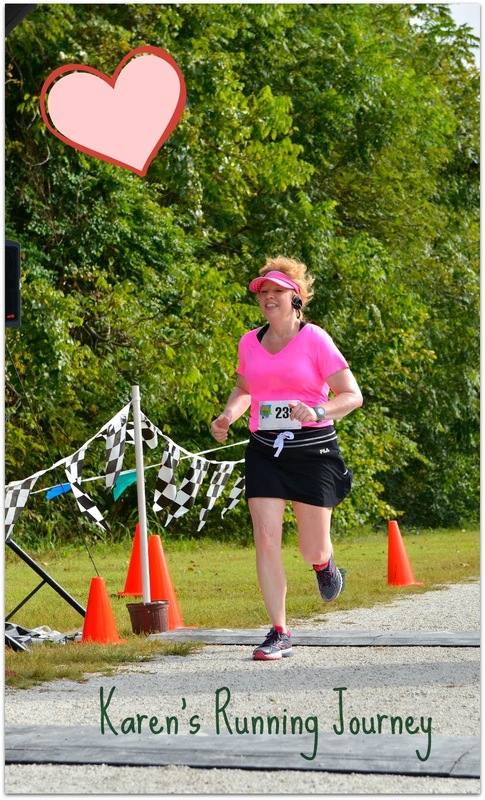 My official time was 48:13 so I missed my goal by 13 seconds. Carlton, a co-worker running his very first race, and his wife Catherine (who's a marathoner) started with me near the rear of the pack. Starting in the back of the pack is tough when it's gun time. My Garmin recorded 8:50, 9:05, 9:37, 10:09, 10:17 so on my Garmin I made my goal...does that count? 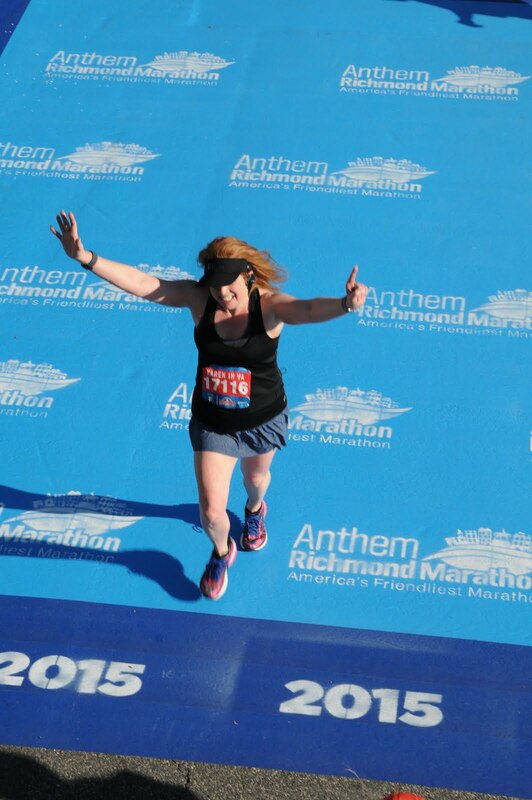 At this point I was thinking, "Why didn't I just run that last stretch faster?" On the course - when the sun isn't shining it just feels colder. After we were done Catherine (left)wanted to go again. Hills seem to kill my ability to pick up my knees after I get tired. I tried tackling them two ways, early on I just kept my pace and I was lifting my knees my normal gait. Toward the end I tried little tiny steps, almost like walking but faster. I just get sloppy when I get tired. I was envious when a few people sailed by me at the end. I like to finish strong. My shoes are feeling pretty good. The Altra Torin's feel very different than my Brooks Ghosts and my legs are feeling tighter in places they usually don't. There is plenty of cushion under the ball of my foot and the light weight feels great. It just odd that changing a shoe can make such a difference in the muscles you use. I am trying to decide what shoes are going to be better for my 10K run March 29th. I work as a data steward in a high counseling office. We have two semesters a year, so it's like starting a new school year...while finalizing the other. Senior grades, failed classes, reschedules, new kids, enroll, key grades, fix data errors, enter the state codes needed for all the programs we house...(GED, overage middle school students, night school and a day school).etc... So a few times a year I sit at my desk from 7:00 a.m. until whenever and get very little exercise. I am starting to feel a little crazy from lack of activity. That's p.m. - my arrival time at work is 7:00 a.m.
Then I had to try the socks...I was leery of the toe socks but they feel super awesome too. Got my new heart monitor this week too. That was my big heart rate spike for the week. So I guess I better do some kind of incredible working out this weekend! Is it possible to make up for missing a whole week in two days?